The one open connector position provided on this board will accept either a 90- or 120-pin Elco/Edac Rack & Panel connector of either the male or female type. The price does not include this connector. If the User provides the connectors, we will solder them into position and test the boards at no charge. Requires 256 test points; expansion module needed for use with Model M2 (Items 811, 811U) or M3 (Items 821, 821U); see p.6. 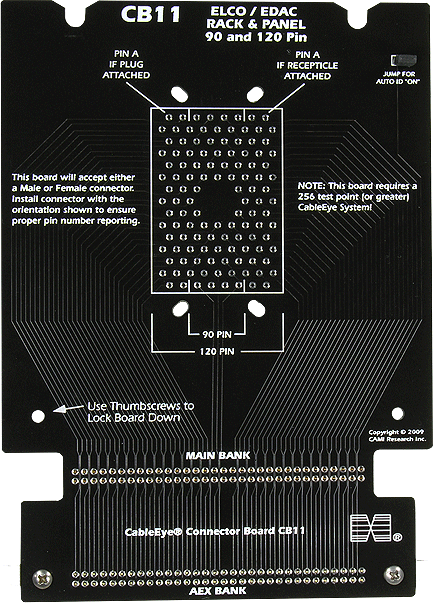 Set of two boards with expander cable.